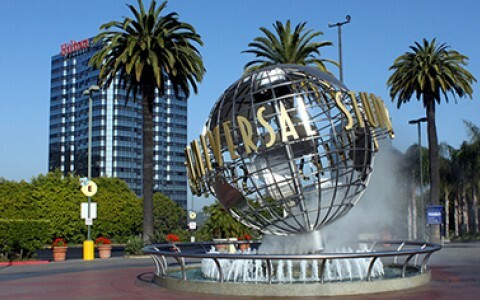 Universal Studios, the Santa Monica Pier, Disneyland and the Hollywood Walk of Fame. There's so much waiting to be explored near our Van Nuys hotel. Whether you're a fan of movies, museums or music, you'll find something to delight you. Here are a few must-see attractions to get you started. Jump into your trip with a visit to one of the best theme parks in the country. Universal Studios takes visitors inside the halls of Hogwarts and rafting through Jurassic Park. Check out the famed Studio Tour for a peak at the world’s largest working movie studio. 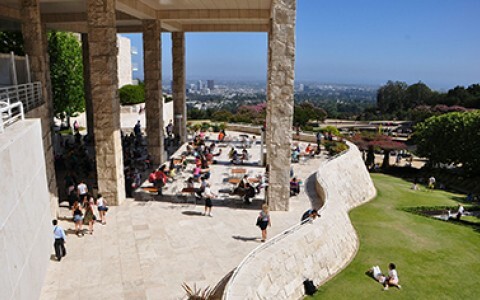 A visit to the Getty Center is never just about the splendid collection of European art (although Van Gogh and Monet will demand some of your attention) because the museum is also a stunning example of modern architecture and offers one of the best views of Los Angeles. Walk into the Japanese Garden and discover a small world filled with bubbling waterfalls, stone lanterns, and beautiful cherry trees. You’ll find it easy to relax strolling through a meditation garden and smelling the magnolia blossoms. 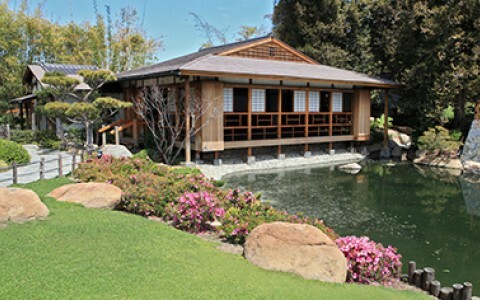 Make sure you tour the gardens with a docent to learn the fascinating rituals of a Japanese tea ceremony. 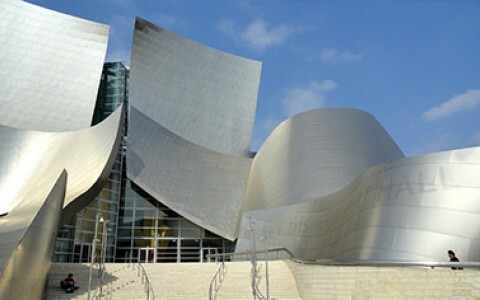 Experience Disney’s love for the city and the arts in the Walt Disney Concert Hall. This Frank Gehry masterpiece vibrates with the beautiful music of the Los Angeles Philharmonic orchestra as well as serving up fine French dining. 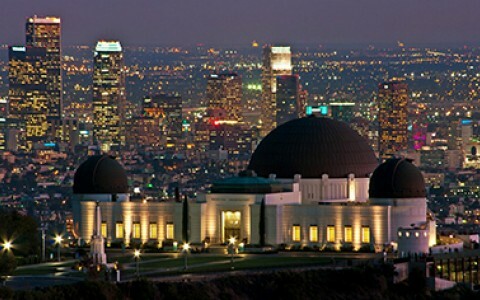 To get that view of the Hollywood sign you’ve always dreamed of visit Griffith Park. Take a hike on one of the popular trails and observe some Californian wildlife or maybe spot a celebrity. Once you’ve summited Mount Hollywood you’re offered spectacular views of the city, sky, and the Pacific. Touch down at airport then grab some more air at Sky Zone Trampoline Park. 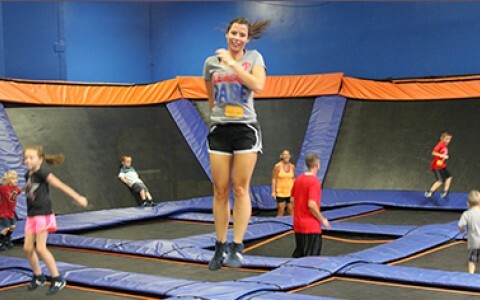 Located just a few blocks from your door the trampolines are always a hit with the kids. Relax while you are driven through a vineyard and sample several regional wines. 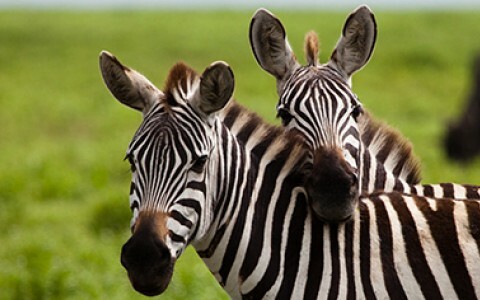 Zebras and giraffes will keep you company while on safari. 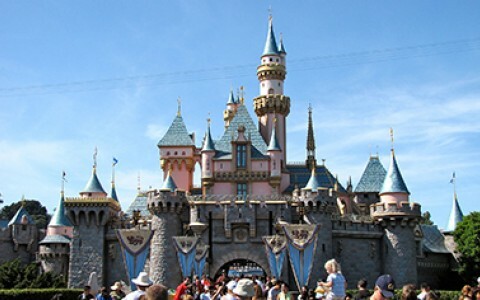 Put on your mouse ears and get ready to take a spin in a teacup, Disneyland is a stone’s throw away. The park maintains its classic rides and continues to add new attractions so it’s never a bad time to visit. 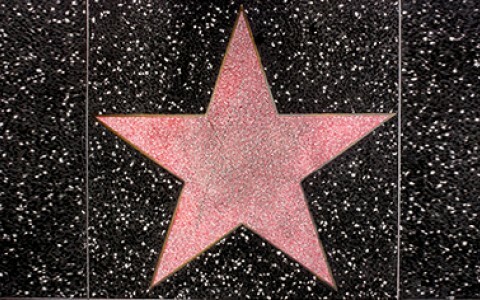 Wander down the Walk of Fame to see how more than 200 celebrities left their mark on Hollywood Boulevard. The sidewalk covers ninety years of cinematic history as it passes the world famous TCL Chinese Theater. 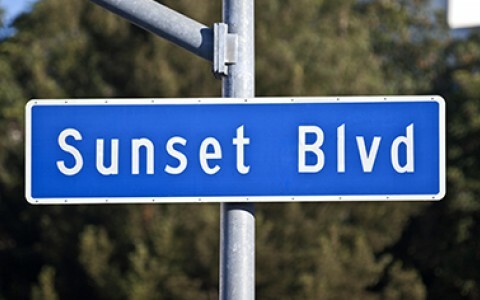 Famous for its nightlife, Sunset Boulevard does not disappoint. Enjoy a classic tiki bar, Tiki Ti, before dancing all night at the Viper Room or the Roxy Theater. To rock a little harder visit Whisky a Go Go, a venue that launched the Doors, the Byrds, and Van Halen. 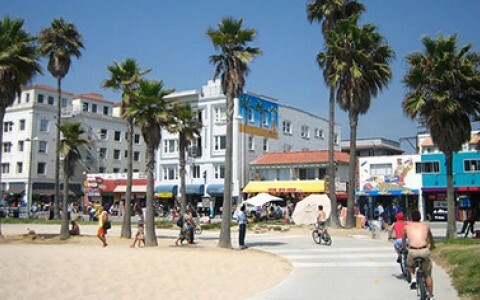 Lined with canals, artists, and street performers Venice beach is vibrant mixture of a neighborhood and a carnival. Rent a bike and cruise down the beach then stop to watch a graffiti artist paint a mural. 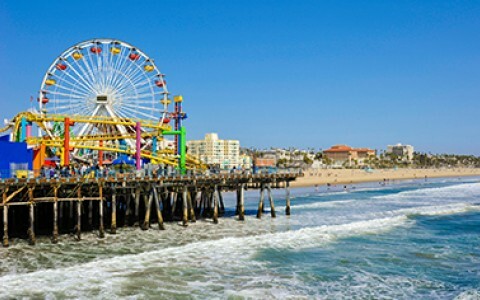 Trade your convertible for a roller coaster at the end of Route 66, the Santa Monica Pier offers up thrills for everyone in the family. Fly through the salty air at trapeze school, reminisce while you play pinball at a classic arcade, or explore the world underneath your feet at the Santa Monica Pier Aquarium. Museum Row, or the Miracle Mile, is home to four of the city’s major museums. 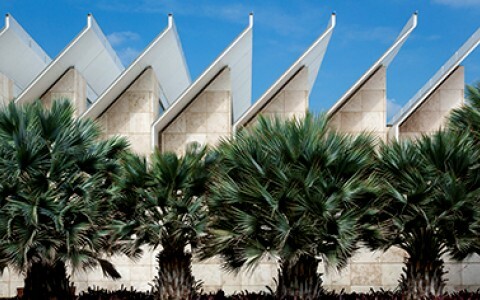 The L.A. County Art Museum houses over 150,000 works ranging from Roman artifacts to contemporary sculptures. Continue down the road to check out Ice Age fossils at the La Brea Tar Pits & Museum. Then step next door to the Craft and Folk Art museum to learn about applied arts. Finally, pay a visit to Petersen’s Auto Museum to see hundreds of sculptures on wheels. 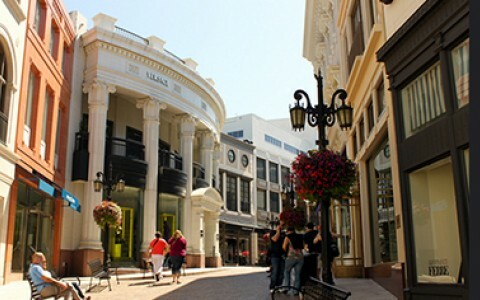 Allow yourself to get lost in at least a few of the high-end stores lining Rodeo Drive. Gucci, Prada, Dior, and Versace are just the tip of the iceberg when it comes to shops that sprawl down this iconic street. Be sure to pay your respects to the designers by visiting the “Walk of Style” on your way out. Enjoy shopping and the LA sun at the Grove, an outdoor shopping and entertainment complex that features lovely courtyards and musical fountain shows. 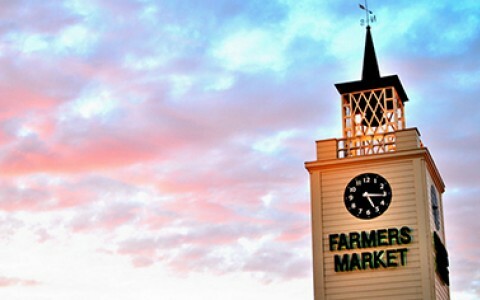 After you’re done at the Grove, jump on a trolley and head next door to the Original Farmers Market. The market is a perfect place to pick up produce or grab a bite from one of the many restaurants. 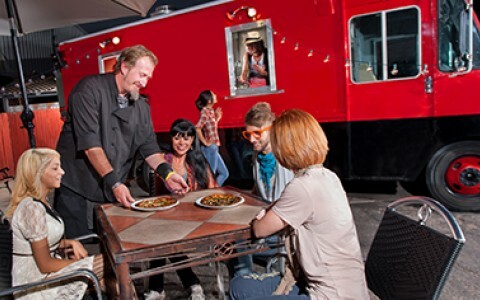 Sample the best array of cuisine the area has to offer at the NoHo Food Truck Collective every Thursday. After you eat, enjoy live music and a game of giant Jenga.